A DeVault Noble camera, ca. 1911. What an interesting camera. It leaves many questions open to answer. 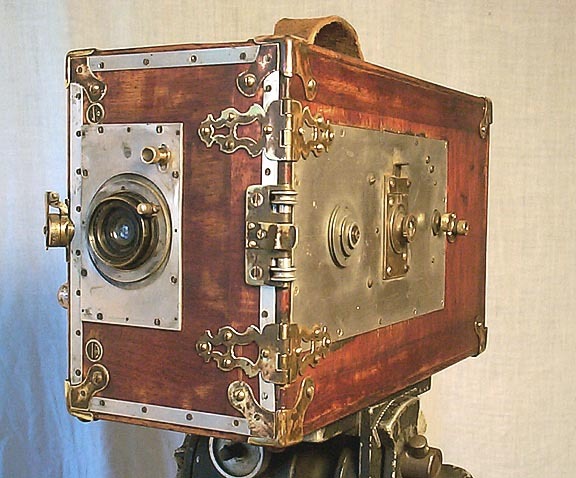 It is fascinating to speculate on the answers as to why someone would build a camera such as this. The camera is 8 inches high, 5 1/2 inches wide and 14 inches front to back. This 35mm motion picture studio camera cranks smoothly and evenly. The mechanics are of the highest quality. The look is so very interesting. 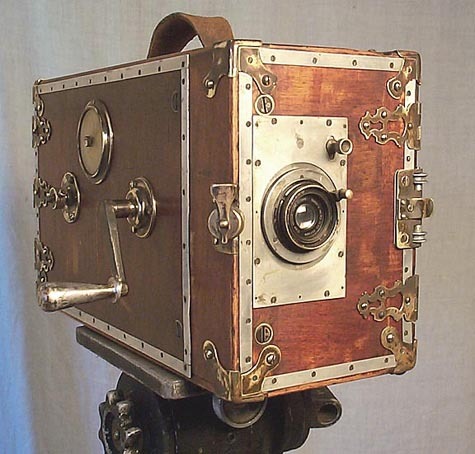 This is a camera that is very well made and seems to be a camera from the Patent War period of film history. It has a rising and falling front for the lens height adjustment. 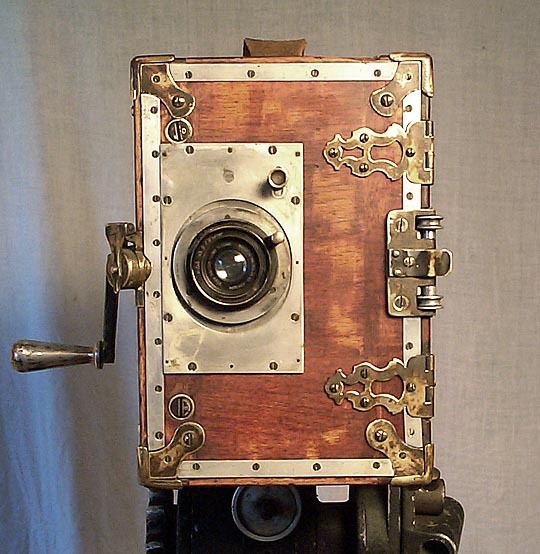 This means that the camera was built before the establishment and standardization of where the picture went on the film in relationship to the sprocket holes. It was manufactured somewhere around 1911.